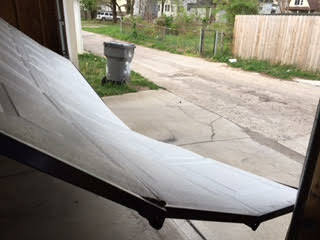 From the Ponder Couch: SOMEBODY HIT MY GARAGE DOOR WITH A CAR!!!!!! Guess what I woke up to yesterday! Yep! 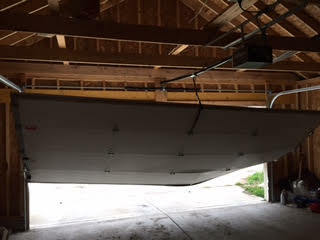 Somebody hit my garage door with a car, drove away, and didn't leave a note or anything! So I got to call off of work and sit at home all day waiting for insurance to call back and tell me we have a $1,000 deductible, the police to come and say there's pretty much no way to find who did it (meaning we have to pay for it), and the garage door repair/replacement technician to tell me the door can't be saved and it will cost well over $1,000 to replace! They were all really nice about it. Again, we aren't going to have to eat ramen noodles for the next 6 months in order to pay for a new garage door or anything like that, but it does put a damper on a lot of things we were planning to do with $1,000. - MisterSeth Shirts, stickers, and such: CLICK HERE! 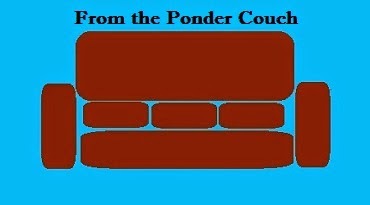 - sethifus/Ponder couch Shirts, stickers, etc: CLICK HERE! - Ponder And Enlightening stuff: CLICK HERE! - Impending Doom! stuff: CLICK HERE! - You Had to Be There stuff: CLICK HERE! - APO Town stuff: CLICK HERE! - Fictional Bands stuff: CLICK HERE! - Happy Mediocrity stuff: CLICK HERE! - Spordts stuff: CLICK HERE! - Reactionary Tees stuff: CLICK HERE! - Guitprov Videos: CLICK HERE! - A Few Quiet Minutes: CLICK HERE!